You already know we stand with Kap. 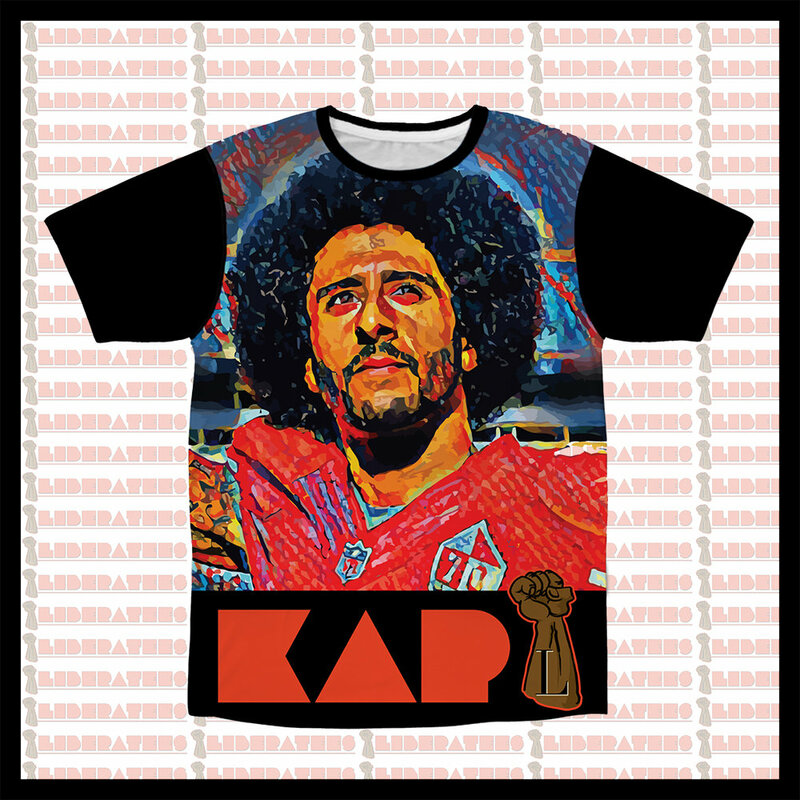 Now we can stand with Kap while wearing Kap and making it plain that we aren't about to forget the reason his protest began in the first place! Show your love for Rep. Maxine Waters, the most powerful Black woman in America, who has spent a lifetime making sure our voices are heard in the halls of power! Do we agree with everything the Honorable Brother Minister Louis Farrakhan says? No. But we do agree with a good 90-percent of it, and recognize the fact that Brother Minister is perhaps the freest speaking Black man of the past half-century. And now we can wear a shirt with a picture worth 1,000 of his pro-Black words! Whether hard times, bad times, or Good Times, Florida and James Evans are arguably the realest Black couple ever portrayed on television. And now you can share the love with our latest dy-no-mite t-shirt!